There are wines we find, once experienced, that seem to stay with us. We gravitate towards them when we are in search of a great bottle of wine. For me, that would be Sterling Vineyards in the Napa Valley wine region. Peter Newton, an international paper broker from England, founded Sterling Vineyards in 1964. After falling in love with the Napa Valley region and their wines, he bought 5o acres on the border of a small village of Calistoga. Peter quickly expanded the vineyard to include properties just north of St Helena. In a bold move, he planted Merlot, Chardonnay, and Sauvignon grapevines in an area recognized more for its Cabernet Sauvignon. 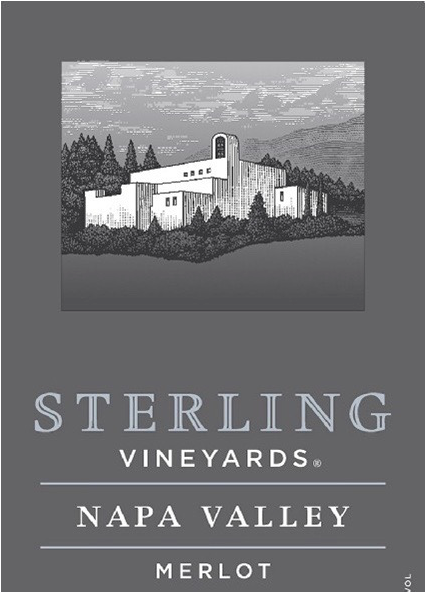 It’s important to note that Sterling Vineyards was the first to produce and bottle Merlot, followed by Cabernet and Sauvignon Blanc. 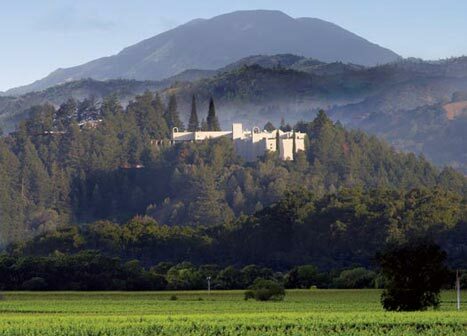 Their spectacular vineyard and wine tasting room we know today, located near Calistoga, California, was opened in 1972. The vineyard and tasting room’s design are meant to harken back to the Greek island of Mykonos, once a residence of Peter, the founder. It’s set on a very high hill and hosts an aerial tram that carries visitors from the parking lot to the main winery’s entrance. This location is a perfect place to view the vineyards and valleys below. As it is with many of the area’s wineries, it’s a great place to spend a bit of time, sip an excellent glass of wine and enjoy the spectacular views from the top of their hill. You can find this wine on their website, wine.com, winechateau.com or at many fine wine purveyors. Just ask about it when you’re in the market for a very nice Merlot. Sterling Vinyards is a must visit if you happen to be in the Napa Valley, especially if you’re close to Calistoga. It is one of my very favorites for its fantastic location, and of course, their wines. I always smile when I think of Sterling Vineyards wines. You can always find a bottle or two in my wine chiller for a reason. They’ve never failed me when I need a great wine for a special occasion. Actually in my case, any opportunity will do. Cheers. If you enjoyed reading about “Sterling Vineyards Napa Valley Merlot,” check out Peirano Estate Vineyards Merlot, Rutherford Hill Merlot, and Cosentino Winery/The Poet Red Meritage.